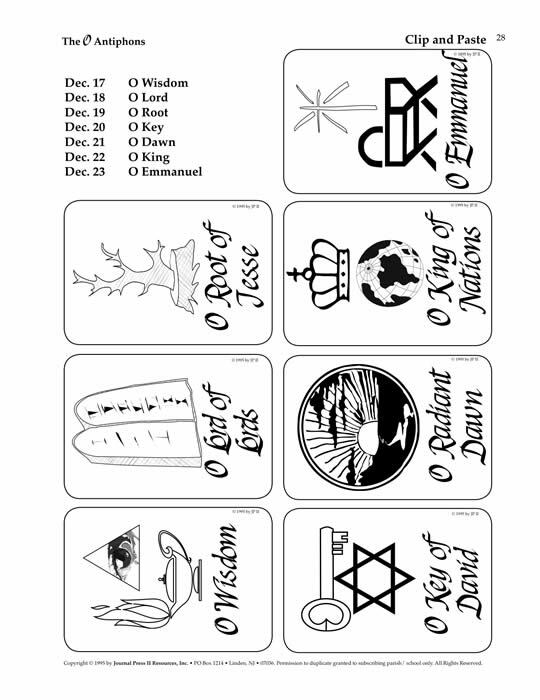 The O Antiphons Book includes black-line master sheets for planners and participants. This set offers suggestions for celebrating the Advent season with shared meditation and prayer, classroom and home activities, and learning aids focusing on the meaning of Christmas. 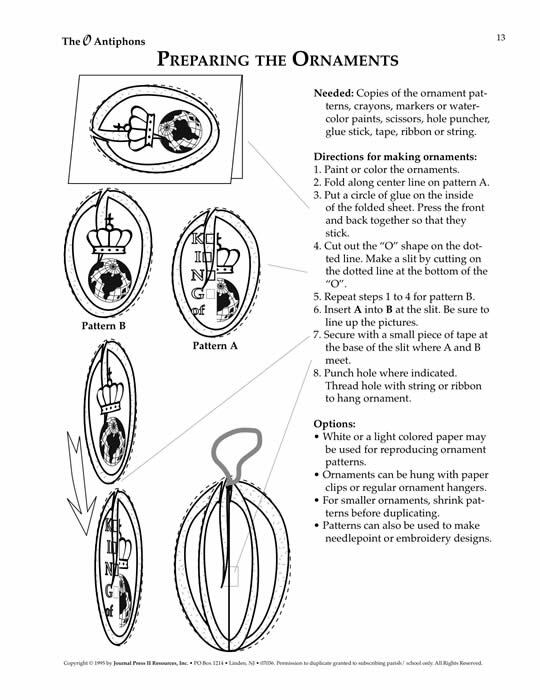 The ornament patterns included in this set can be used as a group or classroom project or sent home for a family activity. 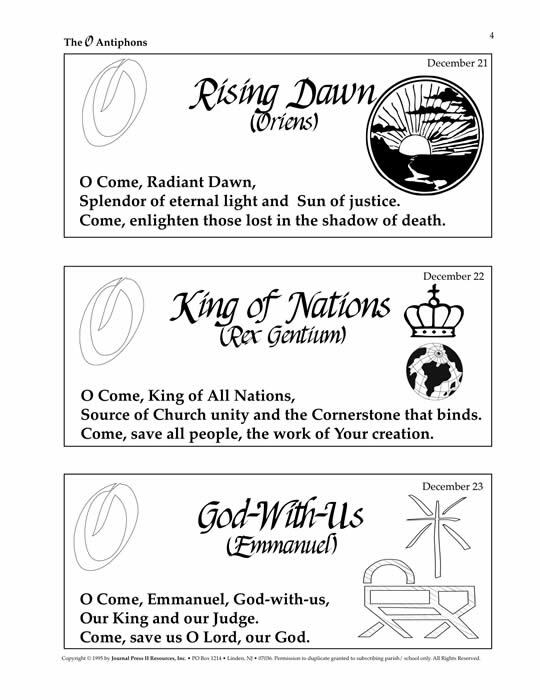 Making the ornaments and discussing the meaning of the titles used in the antiphon prayers are excellent activities for Advent retreats. The antiphon verses can also be used in parish and school bulletins or notes for teachers, catechists or parents. 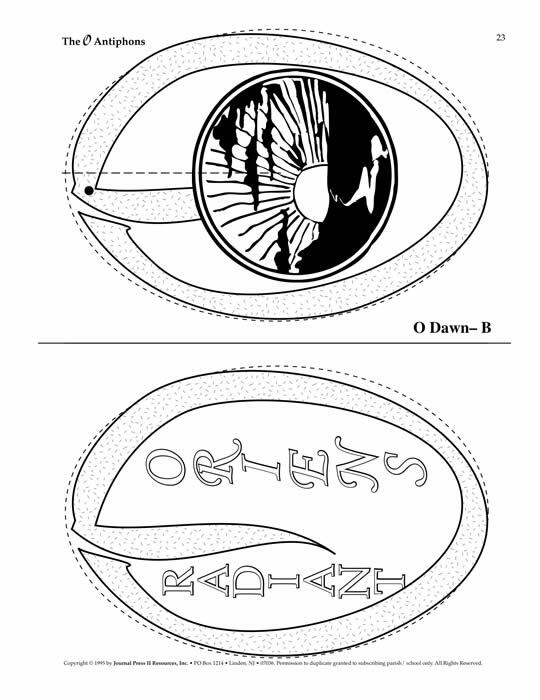 Your purchase (below) will enable the placement of The O Antiphons MasterSet PDF on your computer. You will receive an e-mail to enable your immediate download for the set.